Hello! It's time for another Mojo Monday sketch (#287)! Today's sketch is brought to us by Sarah. I used Remember This and Calendar Countdown to create this 6 x 4 Project Life title card. Over the weekend, I was actually able to create a PL spread and use this card on it. Accessories: A Cut Above Dies: Scalloped Trim Trio (Verve), Standard Circle and Scalloped Circle Nestabilities (Spellbinders), Corner Chomper (WRMK), Arrow wood chip (Freckled Fawn), Foam tape, Thread, Sewing machine. 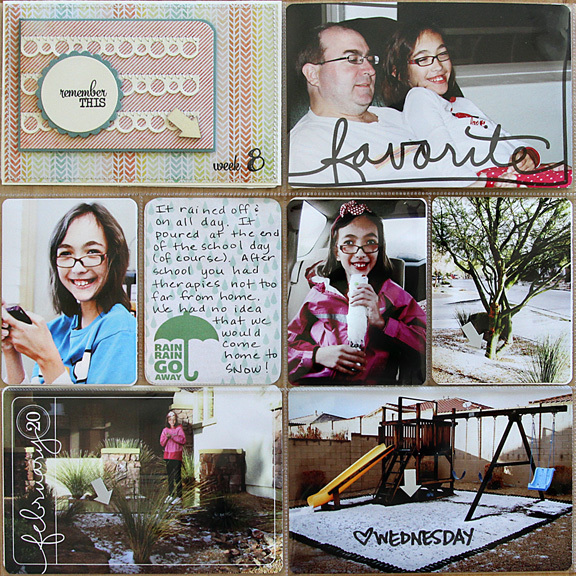 Love how you used the circle border die for the horizontal strips and way to use that fun paper. Great project life work too!! Such a fun card Stephanie! 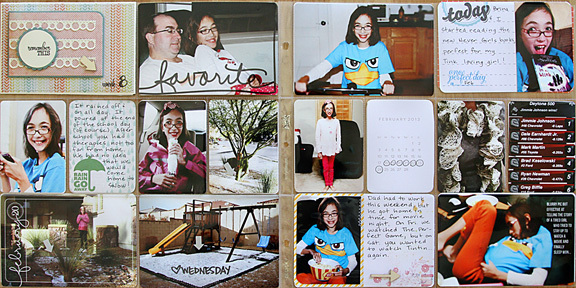 Love the die cut borders and I think it is so awesome how you featured this in your PL LO! You sure have done an amazing job putting all those pages together! Love seeing your PL pages! So fun!! Great use of the wonderful card too! This is such a fun "card" with some awesome colors/stripes! love how you stitched the strips. the arrow is the perfect finishing touch! 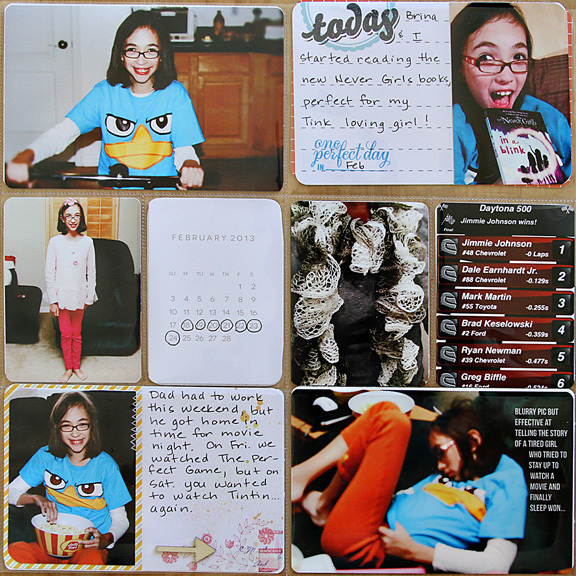 Love the way you are incorporating the mojo sketches into your Life Project! Your DD will treasure this one day if she doesn't already!